Manchester is a city that is famous for football, music, fashion, food and its amazing diversity of people. All of these things combined, make for a spectacular place to visit with frankly, enough activities to fill a dissertation. 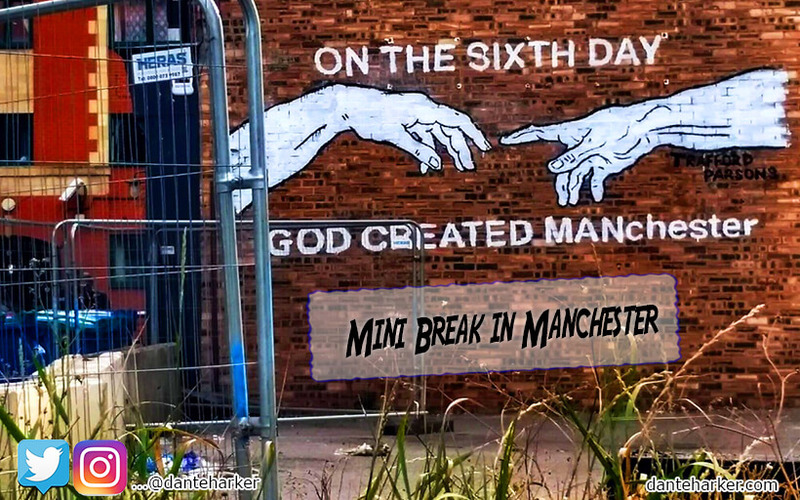 However, with only two days to explore one particular weekend in July, our mini trip to Manchester was all about cramming as much in as possible. It’s no small wonder that the tourism industry in this great city is worth almost £8 Billion! 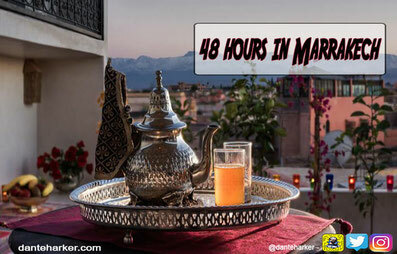 It’s a staggering amount yes, but with so much variety on offer, there truly is a little bit of something for everyone! 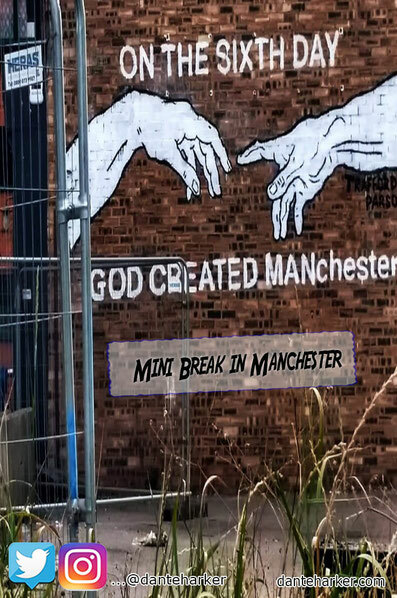 Now, as a person who once lived in Manchester city centre for a few years, one might think that a visit would be not required, however, with a fresh set of eyes after moving away, there are whole areas of this buzzing city that I had never even step foot in! I know, shocking isn’t it?! 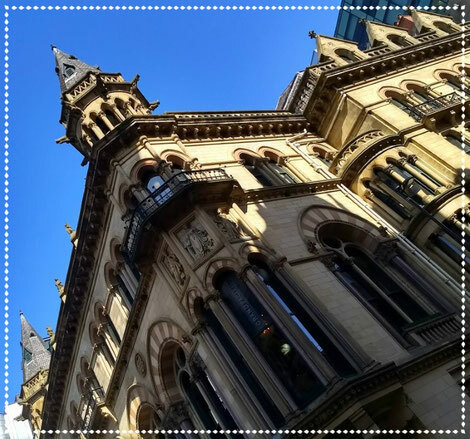 To begin with, in Manchester, it’s all about narrowing down what interests you the most, and for us, the rich history of the place, coupled with a funky new place to eat were top of the agenda. Now, football is not a passion of mine, and neither is high-end designer shopping so, even though the city caters massively to these markets, it’s the gorgeous Gothic architecture and buildings steeped in history that really appeal to me. A visit to the home of the Mancunians just isn’t complete without a trip to the stunning John Ryland’s library on Deansgate. This late Victorian Neo-Gothic building is a sight to behold and with zero entrance fee (donations are accepted mind you) it’s a great way to escape the blazing heat of summer or (more realistically) a sudden downpour of rain. Housing a library and collection of fascinating documents, the library itself is indeed still a working point of reference for scholars and students. 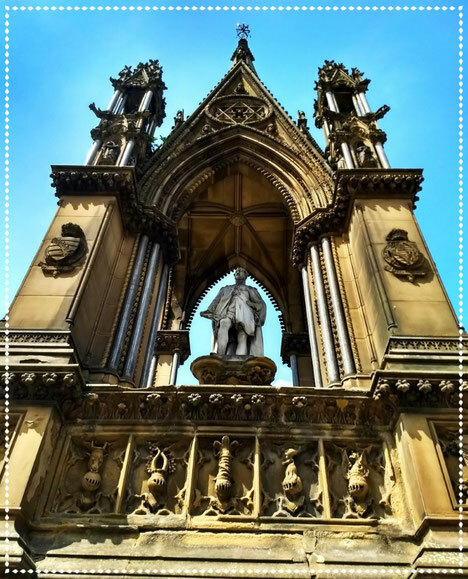 For lay people (myself definitely included), it’s the jaw-dropping Gothic architecture inside that makes this a must-do on a Manchester trip. 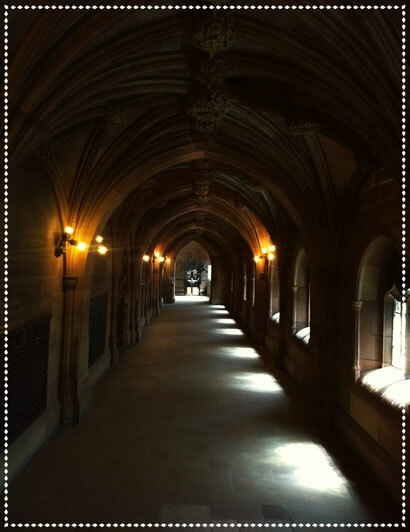 Elegant vaulted ceilings and carved detailing have been lovingly restored and, you can have your very own Harry Potter reenactment in one of the many atmospheric corridors or winding staircases. 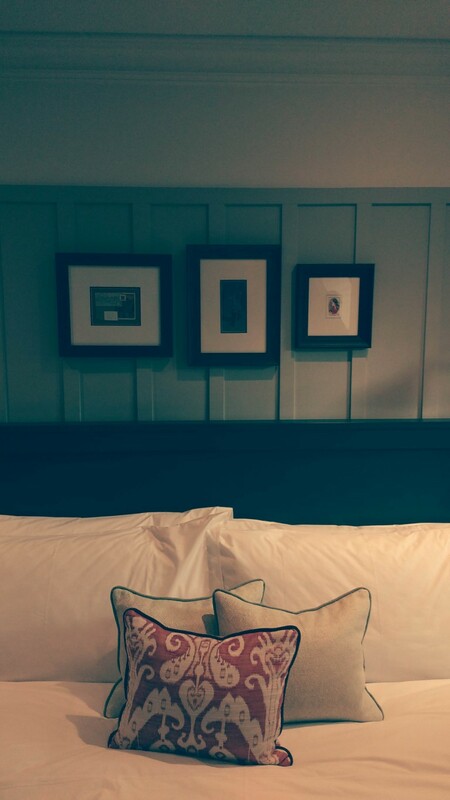 Quite different from Victorian splendour, but still incredibly historic in its own way, is our choice of accommodation for the weekend. Manchester has a BILLION types of rooms available (slight exaggeration, but only by a bit) and with overwhelming options, it’s easy to end up in some soulless branded corporate chain. This is the opposite of the Kings Street Town House. 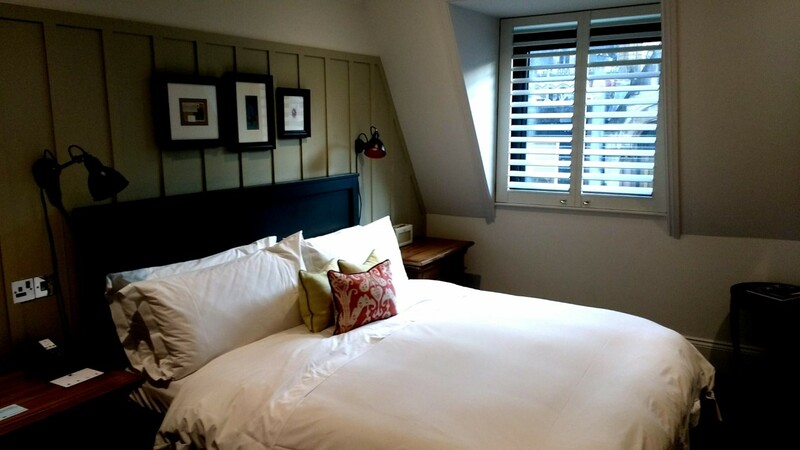 After a little research online, we’d discovered that eclectic hotels Manchester (famous for the Great John Street hotel and two luxury properties in Didsbury) has added another swish boutique hotel to its portfolio. Now, we’re always a fan of small but perfectly formed accommodations, especially when in city centres, so this newest endeavour of theirs was a no-brainer for us. Housed in an Italian Renaissance building built in 1872, the King Street Townhouse bills itself as a Baby Grand Hotel, and the title seems rather fitting to us. From the gorgeously appointed rooms to the minute attention to detail when it comes to the public spaces, this place exudes class. 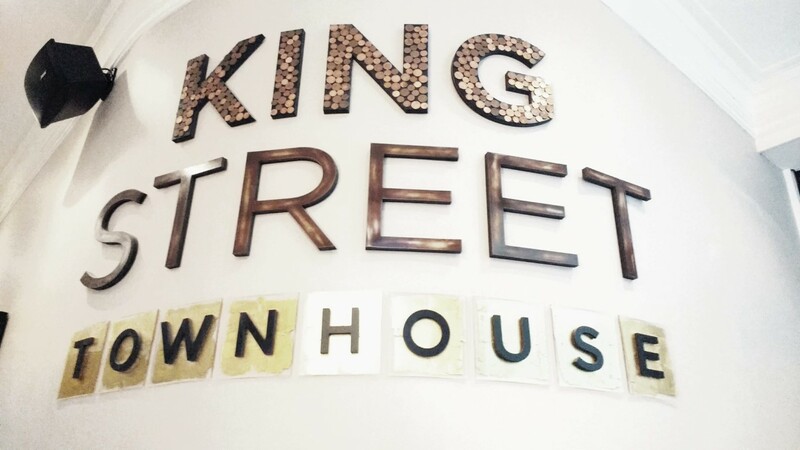 Of course, our weekend was all about discovering Manchester, but what better way to prepare by getting pampered and looked after by the diligent team at The King Street Townhouse? Our room was perfectly situated with a view over Manchester’s historic town hall, and, apart from all the usual luxuries one might expect from a high-end boutique, there was also the added bonus of our very own built-in Nespresso machine to perk us up first thing in the morning; no dodgy instant coffee sachets here! But I would be remiss without mentioning the highlight of our stay; we watched the sun set over Manchester from the rooftop infinity spa pool they have at the hotel. Honestly, you see the city in a whole new light when viewed from a heated spa pool…just delightful. Seeing Manchester in a ‘new light’ if you will, was what our trip was all about. When we lived there, it was easy to take for granted just how cosmopolitan and diverse the city is. 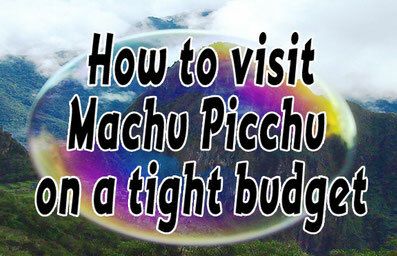 The same goes for the little tourist treasures dotted about. One such gem is the Chetham’s Library. Having never been inside this fascinating place, it seemed only right to finally take advantage of the free entrance to what is believed to be the oldest Public Language library in the UK. Yes, sounds untrue doesn’t it? apparently not though. Dating back to 1421, it’s astounding that this structure is still in one piece. Housing a collection of works and documents that have been designated as of great national and international importance, it’s a must for history buffs or, if you’re a person who enjoys a ghost story, then the free guided tour that runs 6 times a day is a fabulous way to hear about this gorgeous and beguiling place nestled right in the heart of Manchester. Again, a free entrance activity (though donations are welcome) it’s a great way to spare up some cash for the most important meal of the day; brunch. 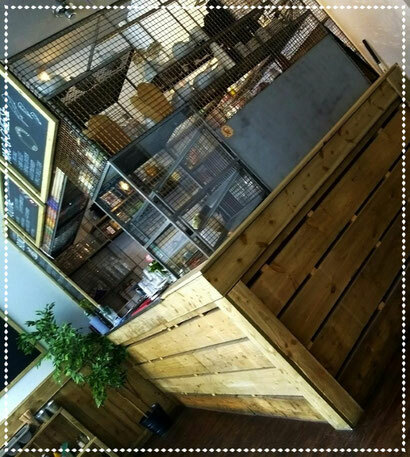 With a sister site in Chorlton and a reputation that precedes them, Brewski on Mosley street is a fabulous option for filling up before an afternoon of retail devotion or perusing of ancient books. Their slogan is ‘the home of North American comfort food’ which, having now enjoyed their Sunday Brunch offering, I can safely say is in my top 10 breakfasts of all time. Yes, it was that scrumptious! Through the week, unpretentious but lovingly created dishes fill out their menu and the same can also be said of the brunch menu. Those with a healthy appetite for carbs will not be disappointed and with a focus on Canada’s national dish, Poutine, it’s hard not to like this place. Alas, even though it would have been far more cultured for me to try one of the several Poutine options available, I gave in to the greedy piglet oinking from within and ordered the Brewski breakfast which, is a veritable mound of tummy grumblingly good food that has all been made with care and attention. 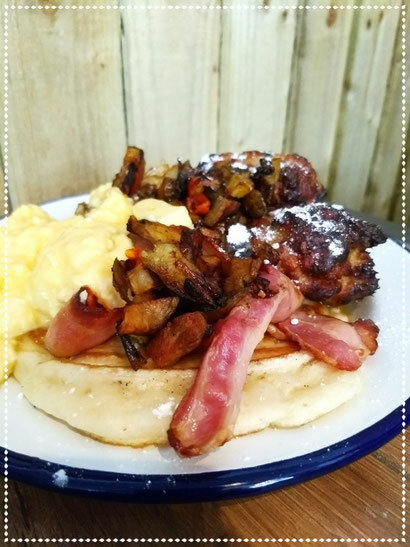 The sausage patties, fluffy pancake and oh-so-velvety scrambled eggs were highlights and, as a chef that works in a busy café serving breakfast, it’s something I’ve become somewhat fussy over. Life is just too short for an uninspiring breakfast. Of course, even to the amateur alcoholic such as me, it makes no sense to skip out on half of the fun of brunch; I mean, it was invented specifically so folks could drink booze with breakfast right?! The options at Brewski include Brunch classics and a fantastic selection of craft beers from small breweries. For us, the opportunity to try their infamous Brewski Bloody Mary was too good to pass up. Now, I have a confession to make; until my visit to Brewski, I had never tried a Bloody Mary. It is true, and the shame I feel at this admission is tangible. What can I say though?! The idea of a shot of vodka in a glass of UHT tomato juice sourced from a vac-pac carton just NEVER appealed. The Bloody Marys at Brewski are, to jump on a cliché bandwagon, NEXT LEVEL. 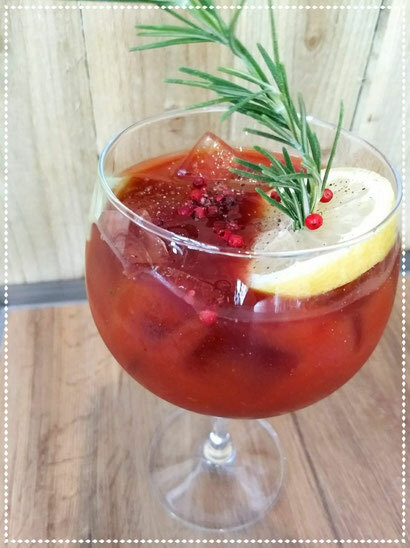 A mixture of spicy savoury flavours blended with that crisp clean taste of Vodka and served with a sprig of Rosemary is a delight! I even managed to sneak a little look at the recipe the talented guys at Brewski have come up with and rest assured, their version is not two, not three, but over 15 different ingredients! When you taste the Bloody Mary at Brewski, you’ll understand. Complex, delicious and hearty is how I’d summarise it. 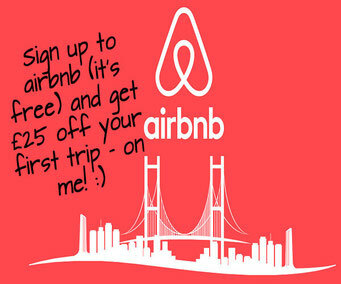 But once you’ve tried their food, you’ll most definitely return. I’m already planning another trip; this time, I will absolutely be trying out one of their insta-worthy Poutine. Plus, a Bloody Mary of course. The idea of trying out new places or visiting a city you’ve been to many times (in this case live in for a few years) is something I’ve never thought about. In fact, I’d probably describe our whole experience at Brewski in such a way. 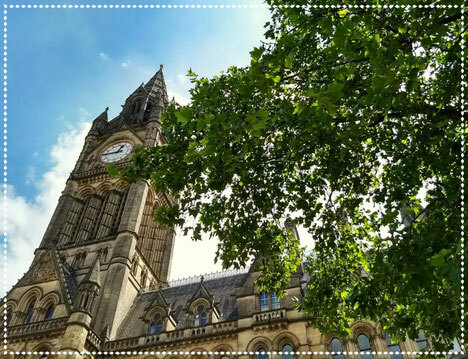 Manchester is absolutely rammed with fantastic independent eateries and unique places to grab a bite, and with so many to choose from, you wonder why you might visit the same place twice. But after my energising, interesting and downright scrummy trip to the Northern Capital, I think I’m going to have to book trips to a few other places I’ve been before and look at them with fresh eyes. There are worse things to do on a weekend away.